Sensitivity Toothpaste for Daily Use, Sensitivity Toothpaste for Regular Use, Effective Toothpaste for Sensitivity, Best Toothpaste Doctors Recommend for Dental Sensitivity, Best Sensitivity Toothpaste, Toothpaste to Prevent Cavity, Toothpaste to Prevent Dental Caries, Best Toothpaste for Cavity, Toothpaste for Dental Caries, Desensitizing Toothpaste, Toothpaste to Prevent Caries, Anti-sensitivity Toothpaste, Anti-sensitivity Anti-cavity Toothpaste, Pain when Drinking Tea, Pain when Drinking Coffee, Pain while having Sweets, Safe Toothpaste for Patients with sensitivity, Best Sensitivity Toothpaste available in India, Medicated Toothpaste Manufactures in India, Toothpaste for Best Results, Toothpaste which dentist recommend, Best Toothpaste Manufactures ,Sensitivity Toothpaste prevents dental caries, Sensitivity Toothpaste for Best Result, Toothpaste which Prevent Dental Diseases, Long Lasting Protection from Sensitivity, Solutions for Dental Caries (Cavities),Solution for Sensitivity, Pain when Drinking Cold Water, Anti-cavity & Anti-sensitivity Toothpaste in Bangalore, India, Toothpaste Recommended by Dentist for Sensitivity, Toothpaste Prescribed by Dentist for Sensitivity, Solution for Sensitivity, Sensitive Toothpaste, Best Toothpaste for Sensitive Teeth, Best Sensitive Toothpaste, Fluoride Toothpaste, Toothpaste to Remineralize Enamel, Toothpaste to Remineralize Teeth, Best Sensitivity Toothpaste in India, Solution for Sensitive Teeth, Pain when Drinking Cold Drinks, Pain when Drinking Hot Drinks, Anti-cavity Toothpaste, Toothpaste for Strong Teeth, Toothpaste Manufacturing Companies in India, Toothpaste Manufacturing Companies in Bangalore, Best Toothpaste Manufacturing Companies in India, Best Toothpaste Manufacturers in India, Toothpaste Manufacturers in Bangalore, Toothpaste which prevent Caries, Best Toothpaste manufacturing company in India, Medicated Toothpaste Exporters from India, Best Toothpaste for Dental Hygiene, Relief from Sensitivity, Toothpaste to prevent tooth decay, Strengthen and Protect your teeth., Maximum Protection from Tooth Decay & Sensitivity, Anti-Sensitivity Toothpaste, Sensitive Toothpaste, Best Toothpaste for Sensitive Teeth, Toothpaste for Sensitive Teeth, Best Sensitive Toothpaste, Best Toothpaste Doctors Recommend for Dental Sensitivity, Best Toothpaste Recommended by Dentist in India, Best Toothpaste for Sensitive Teeth and Gums, Best Toothpaste for Sensitive Teeth in India, No 1 Toothpaste for Sensitive Teeth in India, Top 10 Toothpastes for Sensitive Teeth, Anti Cavity Toothpaste, Best Toothpaste in India for Cavity, Best Toothpaste for Tooth Pain, Best Toothpaste for Cavities, Best Toothpaste to Prevent Cavities in India, Toothpaste to Prevent Tooth Decay, Best Toothpaste for Cavity Prone Teeth, Best Toothpaste for Cavity Prevention, Best Toothpaste for Tooth Pain in India. 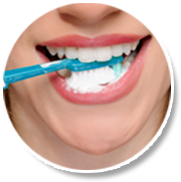 Sensitivity Toothpaste for Daily Use, Sensitivity Toothpaste for Regular Use, Effective Toothpaste for Sensitivity, Best Toothpaste Doctors Recommend for Dental Sensitivity, Best Sensitivity Toothpaste, Toothpaste to Prevent Cavity, Best Toothpaste manufacturing company in India, Medicated Toothpaste Exporters from India, Best Toothpaste for Dental Hygiene, Toothpaste to Prevent Dental Caries, Best Toothpaste for Cavity, Toothpaste for Dental Caries, Desensitizing Toothpaste, Toothpaste to Prevent Caries, Long Lasting Protection from Sensitivity, Solutions for Dental Caries (Cavities),Solution for Sensitivity, Pain when Drinking Cold Water, Toothpaste Recommended by Dentist for Sensitivity, Sensitive Toothpaste, Best Toothpaste for Sensitive Teeth, Best Sensitive Toothpaste, Fluoride Toothpaste, Toothpaste Prescribed by Dentist for Sensitivity, Solution for Sensitivity, Toothpaste to Remineralize Enamel, Toothpaste to Remineralize Teeth, Best Sensitivity Toothpaste in India, Solution for Sensitive Teeth, Pain when Drinking Cold Drinks, Anti-cavity & Anti-sensitivity Toothpaste in Bangalore, India, Pain when Drinking Hot Drinks, Anti-cavity Toothpaste, Anti-sensitivity Toothpaste, Anti-sensitivity Anti-cavity Toothpaste, Pain when Drinking Tea, Pain when Drinking Coffee, Pain while having Sweets, Safe Toothpaste for Patients with sensitivity, Best Sensitivity Toothpaste available in India, Medicated Toothpaste Manufactures in India, Toothpaste for Best Results, Toothpaste which dentist recommend, Best Toothpaste Manufactures ,Sensitivity Toothpaste prevents dental caries, Sensitivity Toothpaste for Best Result, Toothpaste which Prevent Dental Diseases, Toothpaste for Strong Teeth, Toothpaste Manufacturing Companies in India, Toothpaste Manufacturing Companies in Bangalore, Best Toothpaste Manufacturing Companies in India, Best Toothpaste Manufacturers in India, Toothpaste Manufacturers in Bangalore, Toothpaste which prevent Caries, Relief from Sensitivity, Toothpaste to prevent tooth decay, Strengthen and Protect your teeth., Maximum Protection from Tooth Decay & Sensitivity, Anti-Sensitivity Toothpaste, Sensitive Toothpaste, Best Toothpaste for Sensitive Teeth, Toothpaste for Sensitive Teeth, Best Sensitive Toothpaste, Best Toothpaste Doctors Recommend for Dental Sensitivity, Best Toothpaste Recommended by Dentist in India, Best Toothpaste for Sensitive Teeth and Gums, Best Toothpaste for Sensitive Teeth in India, No 1 Toothpaste for Sensitive Teeth in India, Top 10 Toothpastes for Sensitive Teeth, Anti Cavity Toothpaste, Best Toothpaste in India for Cavity, Best Toothpaste for Tooth Pain, Best Toothpaste for Cavities, Best Toothpaste to Prevent Cavities in India, Toothpaste to Prevent Tooth Decay, Best Toothpaste for Cavity Prone Teeth, Best Toothpaste for Cavity Prevention, Best Toothpaste for Tooth Pain in India. 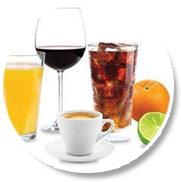 Tooth sensitivity is the condition of a short, sharp pain experienced on consumption of hot or cold food / beverages. 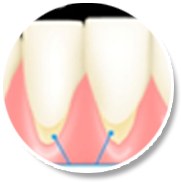 The outermost layer of our tooth is enamel, covering the crown of the tooth, the cementum covers the root of the tooth and dentine is the inner layer. Tooth sensitivity is caused when the tooth enamel wears away and the dentine is exposed. 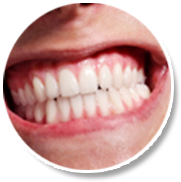 There are several ways in which tooth enamel can wear away, thereby exposing the dentine, leaving the tooth prone to sensitivity. When exposed dentine comes into contact with anything hot, cold, sweet or sour, it can trigger the nerves and cause a short sharp pain. Even inhaling cold air can trigger pain in sensitive teeth.